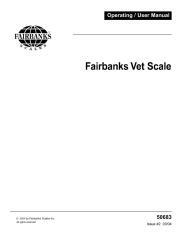 Fairbanks' electronic Vet Pet Scale with digital remote indicator has a simple, easy-to-use keypad for easy operator control. The indicator features a 5-digit, 7-segment, 0.5-inch LCD weight display and comes with an 8-foot cable for wall mounting. Because animals can be leery of stepping onto unfamiliar objects, Fairbanks incorporated an ultra-low profile design into its Vet Pet. 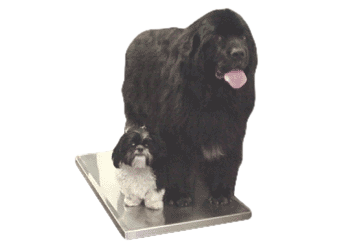 This feature minimizes most pets' natural reluctance to use a scale. 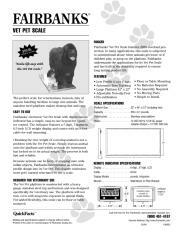 The Vet Pet platform is constructed with a heavy gauge stainless steel top and bottom and was designed specifically for veterinary use.